The home is one of your largest investments. Making a decision to have a new furnace and air conditioner installed is serious business. You are not only making a decision to provide comfort and safety to your home, but value to it as well. Updating your heating and cooling system increases the value of your home and saves you money. The revolutionary Infinity System is the only system in the industry that allows you to control temperature, humidity, air quality, fan speed, ventilation; and even detects when your air filter needs replacing. Feel confident knowing that our field installers and technicians will respect and care for your home. Expert Heating is here to assist you in every possible way. 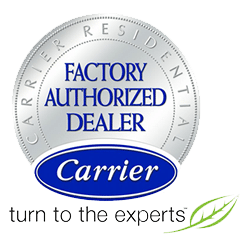 From the time we answer the phone, “Expert Heating & Cooling, how may I help?” to the completion of your residential installation we hold ourselves accountable for your satisfaction. Expert’s dedicated employees are ready not just to meet your expectation but to exceed them.